The Highland Clinic recently updated its MRI technology in Novem- normally require a CT scan can now be ber, helping to better serve patients performed with an MRI. clearer image quality, some tests that would throughout Shreveport-Bossier. “There are patients that, due to their “We believe that adding this new, disease, can’t have the extra latest-technology MRI complements our menu of services, especially in providing quality health care. 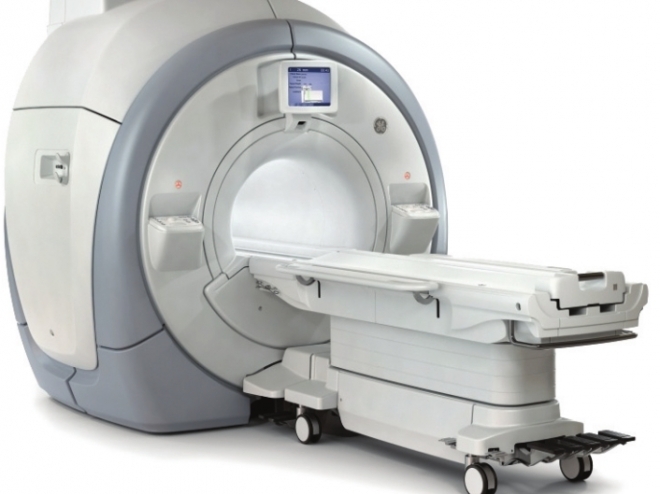 I never thought I could be so excited about an MRI unit, but here it is. And I think the reason that I am so excited about it is that it provides the best technology available for exposure to radiation so this gives them another option,” Smith said. Updated technology has also allowed the tests to be shorter and the exam space to be bigger, all working to make patients more comfortable, Smith said. Some tests are able to be performed at almost ambient noise the physicians to better diagnosis the patient, and it was designed with the patient experience in mind as well. To me, it’s a win-win,” Highland Clinic CEO Debbie Smith said. The updated machine also helps patients to receive less exposure to ionizing radiation. Because the updated MRI has levels, making the procedure more calming than previously. Added cushions with different densities help to make the table surface more comfortable for patients, too. The MAVRIC technology allows the tests to offer clear imaging on patients with metal implant devices, such as hip replacements or total knee replacements. MAVRIC cancels out metal for imaging soft tissue and bone near the metal devices. The MAGIC imaging allows one brain scan to take the place of many images in as little as half the time, Smith said. “You get beautiful images of the brain that can be used to make more definitive diagnoses,” she said. Smith said the updated technology is an ideal marriage of physician needs and the patient experience. She said the new MRI helps physicians better diagnose diseases and injuries, but the added levels of comfort help make what is normally a stressful situation for patients a little less nerve-wracking. Patients can add a touch of hominess by individualizing their MRI experience through the caring suite. “The caring suite was designed with patients in mind. It allows the patient to personalize the MRI suite interior to fit their mood. The caring suite app allows patients to choose a favorite nature theme on the screen above them, or their favorite movie, choose their favorite color for the room, request a music genre or listen to their own playlist on a smart phone or MP3 player,” Smith said. The MRI machine is a GE product, and Smith said Curt Allen and his team were key in adding this updated technology to the Highland Clinic. E.E.I. installed the caring suite. The Highland Clinic turns 100 years old next year, and Smith hopes they will continue to grow, update, innovate and develop to best serve the Shreveport-Bossier community.